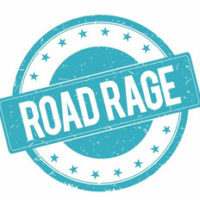 Road rage is an extreme form of aggressive driving, and is characterized by drivers performing highly illegal and extremely dangerous maneuvers out of sheer anger. These maneuvers vary, and can include the driver getting out their car to assault another driver, or the driver using their vehicle to inflict harm and damage onto others. No matter how a person expresses their road rage, the fact is: road rage is dangerous, and it is the cause of numerous Miami car accident injuries. If you or a loved one was the victim of a road rage accident, do not just do nothing. The angry driver needs to be held accountable for their actions. A Miami car accident lawyer can help ensure that they are not only held accountable, but that they pay for the damages they caused. According to the AAA Foundation for Traffic Safety, nearly 80 percent of drivers nationwide admit to having expressed some form of road rage on at least one occasion. The survey from which this information was collected interviewed 2,705 drivers who were at least 16 years old and who had been driving for at least 30 days. According to the Federal Highway Administration, there were over 213 million drivers on the road in the U.S. in 2013. This means that are approximately 170 million angry drivers on the road at any given time. These numbers show a very concerning trend for today’s drivers, providing more reason than ever to combat the issue via legal measures. Purposefully tailgating another driver (51 percent, or 104 million drivers). Each of these actions has the potential to cause an accident and subsequent injuries. Additionally, road rage can cause emotional trauma for some individuals, which is considered an injury under Florida personal injury law. If someone’s road rage caused injury to you or a loved one, reach out to a Miami car accident lawyer today for immediate legal assistance. Refrain From Antagonistic Behavior: Do not brake-check, swerve back and forth, slow down and then speed up, perform fake lane changes, or do anything else to antagonize the aggressive driver. Just back off and let them by you to keep the peace. Do Not Respond: You may be tempted to throw the middle finger up as the aggressive driver passes you, or to lay on the horn to show your annoyance, but doing so makes you part of the problem. Keep a safe space around your vehicle, and if the situation gets out of hand, call 911. Be Patient: So long as you remain calm and refrain from antagonizing the other driver, they will leave you alone. Just be patient and wait for them to move on, and the proceed to your destination in a calm and safe manner. If you or a loved one is the victim of an accident caused by road rage, you may have a hard time filing your accident claim. Unfortunately, even if you tried to keep the peace, accidents caused by road rage present complex insurance issues, as many insurance companies exclude coverage for intentional acts. To ensure that you do not lose out on the coverage you deserve because of an angry driver, and to make sure that the aggressive driver is held liable for their actions, let a Miami car accident attorney fight on your behalf. To schedule a free consultation with a knowledgeable personal injury attorney at Spencer Morgan Law, call 305-423-3800 today.